You are here: Home / How to Play Piano / Is There An Easy Way to Learn Piano? This article is not only going to tackle the topic of learning how to play piano, but it’s going to cover the more urgent question: Can I learn piano fairly quickly and fairly easily? If you find that you’re someone that’s interested in learning how to play the piano, but are worried that it’s going to be overly complicated, or that you’re going to need to have grown up playing piano since you were four years old in order to “get it,” you’re going to want to stick around to read this article. A great way to entertain guests, and bond with other musically-minded friends and family. It’s “one for the grandkids.” Children naturally adore music. No matter what age you are, learning piano lets you share the gift of music with the children in your own family, whether that be your own children, your grandchildren, or your nieces and nephews. Something to get you through the lows. Music has been described by some over time as a natural therapist. As you progress past the basics, you may well find that playing piano can allow you to express yourself and your feelings in a way that words cannot. Piano means versatility. 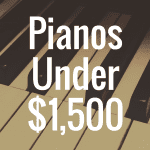 If you’re not sure which instrument is for you, then learning piano is a great place to start. Being the only instrument that allows the player to simultaneously play multiple notes without any great difficulty means it can effectively be used to play music from nearly any genre. You’ll fall in love with your favorite songs all over again. Some people tell me that they love listening to music, but they could never play an instrument.But that’s wrong-headed thinking. In fact, once you start learning piano and understanding even the basics of music, the way you listen will change significantly. Suddenly, your favorite tunes will transform into mini musical masterpieces. What’s your dream? Learning to play piano is not merely an aspiration that people develop for one and the same reason. In fact the dream can, and does, vary significantly from one beginner to another. Think about the following two categories. Which one has you ticking the most points? I love to sing. I’d love to be able to play piano to accompany my singing. My friends play instruments and we would love to “jam” together. I’m quite good at picking out a melody on the piano with my right hand, but I wish I knew what to do with my left hand. I really don’t want to learn how to read sheet music! I’m not looking for a career in music; I just want to be able to play a few songs that I like. My friends and family love to sing—I wish I could play piano for them while they sing along. Learning to play the piano is a serious endeavor for me; I want to devote the years ahead to progressing and improving. I’d love to be able to download sheet music and quickly understand and play it. I’m a “why” person. I don’t just want to know which note to play, but I want to know why I should play that note. I respond well to goals and achievements. Taking piano exams would certainly be of interest to me. So, where do you fit in? Did you find yourself agreeing more to points in Category A? Or were you feeling category B all the way? Understanding which group you fit into may help you to decide which approach to learning would be more sustainable and enjoyable for you personally. Let’s dive into this with a bit of more detail. If you find yourself fitting into this category, a chord approach to learning piano may not only prove itself to be more enjoyable, but could also get you where you want to be in quicker time. I have quite a few friends who have learned piano using this approach and just love to perform! Whilst you aren’t going to initially develop a sound understanding of music theory, how to read sheet music or think about taking piano exams, this is an ideal method for those who have the desire to master a few songs within a short period of time. 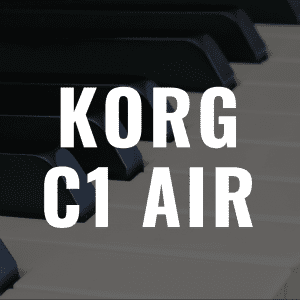 It’s also a great approach for those who plan to play accompaniment for vocals and even lends itself well to learning on a 61-key digital keyboard rather than a full-88 key piano. Interestingly, many beginners who start with this approach find themselves slipping into category B within their first year of playing. Perhaps this approach gives a taste for being able to play piano, but also develops a hunger to develop musically. For many beginners, it’s not just about being able to play your favorite chart song within the next few weeks. Rather, there is a focus on piano and music becoming part of your life, something to develop, understand and appreciate. You may also have the aspiration to take piano exams, or to study music in the future. If this sounds like you, then I wouldn’t recommend starting with the chord approach. Instead consider enrolling with a reputable piano teacher or find an intense teaching course online. Granted, it may take longer in the initial stages to feel like you are actually making music, but once you’ve mastered the basics you’ll be amazed to see the positive impact they have on your learning, as well as your growth as a musician in the long run. Whilst the chord approach and the traditional approach may vary significantly in both the methods of learning and the musician that you become, there are many must-do’s that really don’t care what your chosen learning approach is. Practice every day! This is your aim, however I usually tell my students that 5 days out of 7 is fine. The key is for practice to be regular. Playing for 10 minutes each day for 5 days of the week will have you progressing much quicker than practicing for one hour on a Saturday afternoon. It may not sound logical to the beginner, but trust me, it’s true! Keep your instrument where you can see it! Keep your piano in a room where it can constantly make its presence known to you. 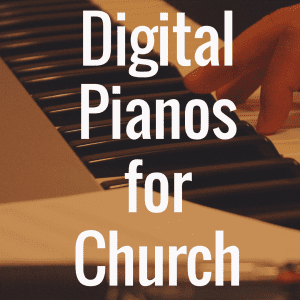 And if you don’t feel like going out and spending the money on an expensive, brand new piano, well-conditioned 2nd hand digital piano is more than adequate to get you started. Perform, perform, perform! Many of my adult students would tell me that they rarely, if ever, played piano for other people. Some felt that you needed to be a skilled musician, or at least at an intermediate level, before revealing your skills to others.This thinking couldn’t be more wrong!Stage fright exists among many musicians, even great ones, because they failed to use opportunities to perform in front of others from the start. Even if it’s just “Mary had a Little Lamb” — play it, perform it and own it! Ultimately, everyone learns at different speeds. Each beginner musician will find some areas of piano learning challenging, whilst other areas may seem easy and attainable. My advice? Whichever approach you take, whether it be the chord approach or the traditional method, give yourself at least two months of regular practice (remember the 5 days out of 7 rule) before you even think about assessing your progress. Within those two months, aim to become an expert at the piano basics, as they will give you a solid foundation to begin your musical adventure. Can I Learn Easily or Not? 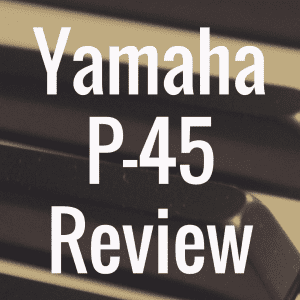 So, getting back to the initial question of this article—is learning piano easy? And if so, what is the easy way to learn it? Well, unfortunately the answer is complex. First, nothing in life is ever really “easy” when it comes to trying to learn something you’ve never learned before. Like most things worth having, becoming a competent piano player takes hard work and dedication on your part. But, we also have to recognize that this is the 21st century, and with that comes technology that makes learning (whilst not easy) certainly far easier than it’s ever been. With so many different software packages you can buy, courses you can purchase, and DVD’s you can get sent in the mail, there’s never been a better time in history to learn how to play the piano. After all, on some keyboards, the keys light up to tell you what note to play, while other pianos seamlessly blend in tablets and music apps as teaching tools. So no, learning piano is not “easy,” per se. There’s no “easy” way to learn it. But there are so many more resources available these days to make much more easy to learn compared to ten, twenty or fifty years ago. 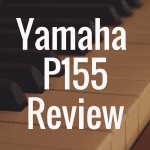 How Do You Read Piano Notes? 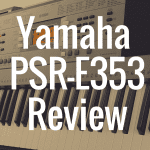 What’s the Best Digital Piano Under $1,500?